I've always had different spots to write in. It used to be a really specific process - for instance, when I was writing essays and my creative writing dissertation, it had to be late at night (hello, 5am bedtimes) and only accompanied by Placebo. But these days, I adapt to my surroundings. Right now, it's on my bed, four pillows, Ru Paul's Drag Race playing on my iPad and tapping this out in Notepad. But I'll write in pubs, coffee shops, on the train, snatched moments writing emails to myself at lunchtime, even while walking home and texting it to myself on my phone. Blogging is important to me, and I fit it in while I can - not always easy when I work full time, but I manage. In a dream world, I would love an office and I'm hoping that my new house will have space for one. Heck, I'd take a cupboard. Or a nook in the corner of the living room. But just a dedicated area would be wonderful - I miss working at a desk, and it's really hard to work with a single screen when you've become used to double screens (I'm currently in the process of converting everyone at work to them - it makes writing content so much easier). So along with my desk, I want a docking station for my laptop and a nice big widescreen monitor. Plus a little spot for my iPad, because a girl's gotta have her Netflix when she's Photoshopping. And, honestly, I'd also like a dedicated space so I can start turning my attention to a little more than blogging, such as that half finished novel on my laptop (okay, it's more like a fifteenth finished). I'm always going to be a laptop girl though (a Dell Inspiron 5000 series, since you asked, although I'm thinking about switching to an XPS laptop), I can't see myself switching to a desktop. I love the portability, and as much as having a desk would be lovely, sometimes you just want to work under a duvet. I always want to have the option. 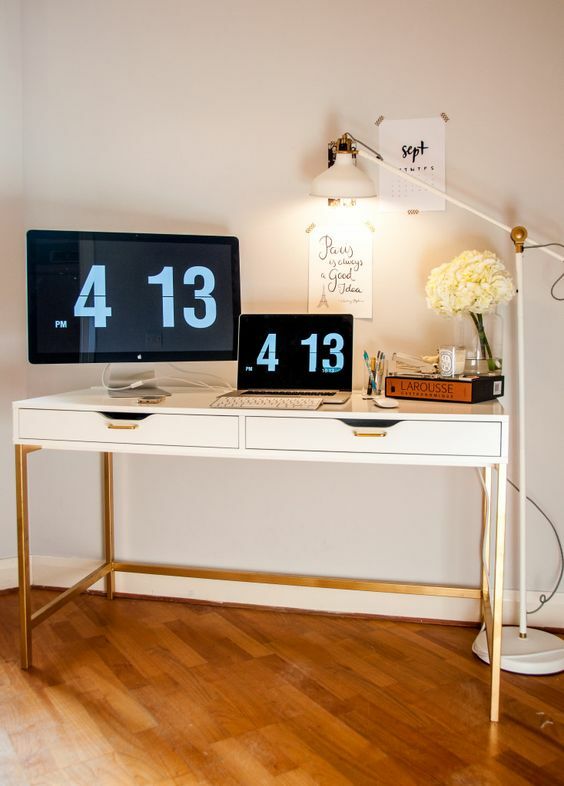 So let's turn to Pinterest for the ultimate in desk inspiration. I'm looking for the perfect balance between beautiful minimalism and, y'know, enough space for all my crap. This is beautiful, but less flowers, more screens, more books please. 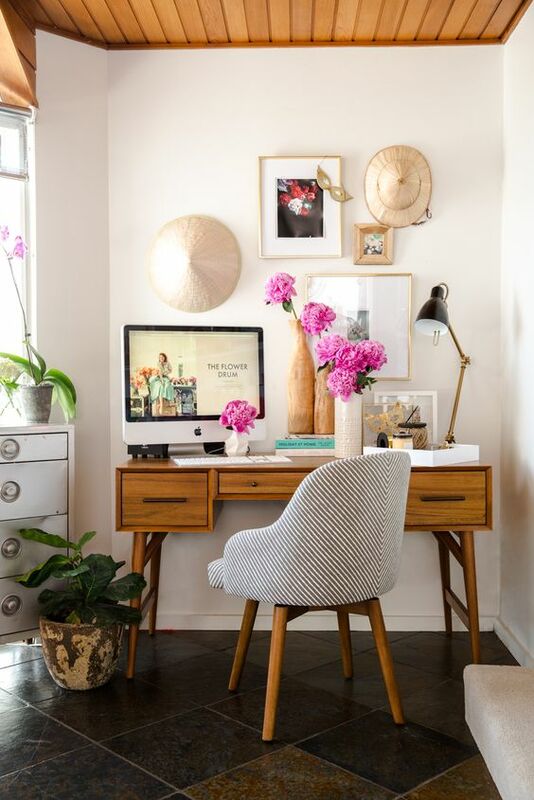 Now this is an office - so much space! I don't have a hope of having this much space, but it's so organised and grown up. I love a good NOOK. Just install me under the stairs like Harry Potter, I'm all for it. 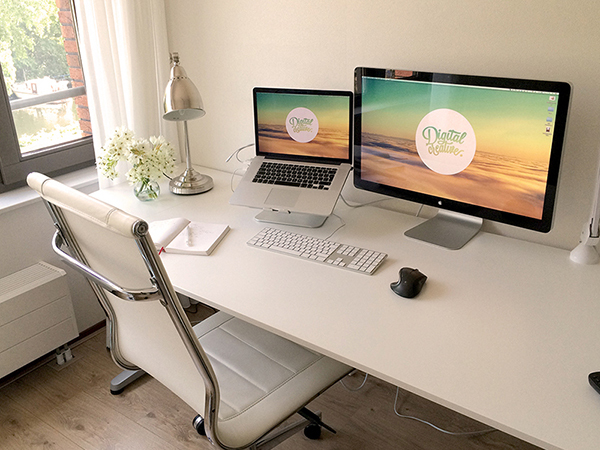 I love the set up and it's so pretty, but the desk just looks too small for me. I'm so not a paperless person. Here for the shelves. 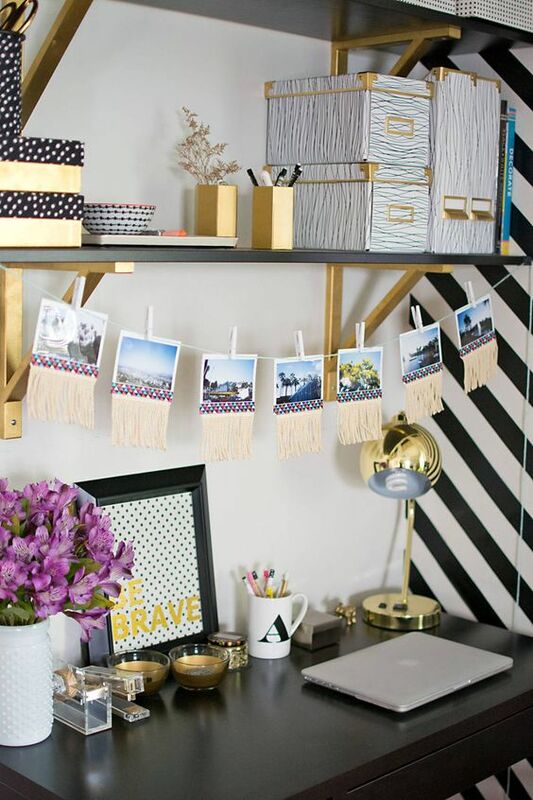 Such cute shelves. I love shelves. 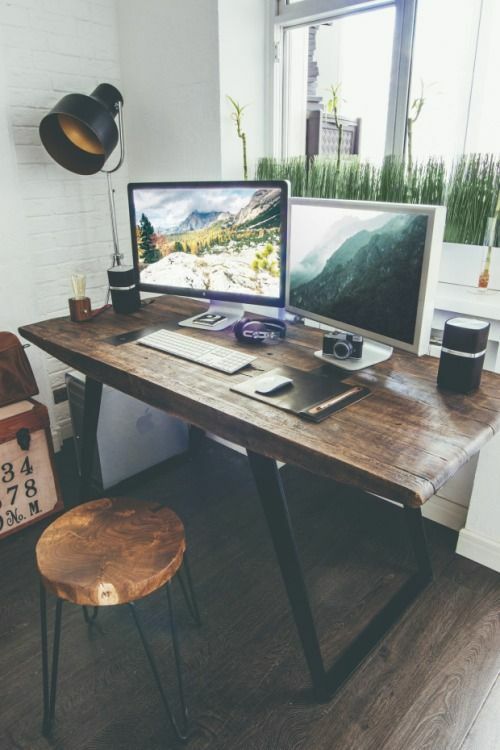 I know bloggers are all here for the clean and white and crisp thing, but how fricking HANDSOME is this wooden desk? Love. This. Yes. Space. Two screens. Beautiful. Perfect. Written in collaboration with Dell, but all thoughts and desk dreams are my own.